To keep you current as we explore the past. Why Are Cultural Resources Valuable? The Begole Archaeology Library is located next to the Begole Archaeology Research Center (BARC) building on the approach road to the Anza-Borrego Desert State Park Visitor Center. 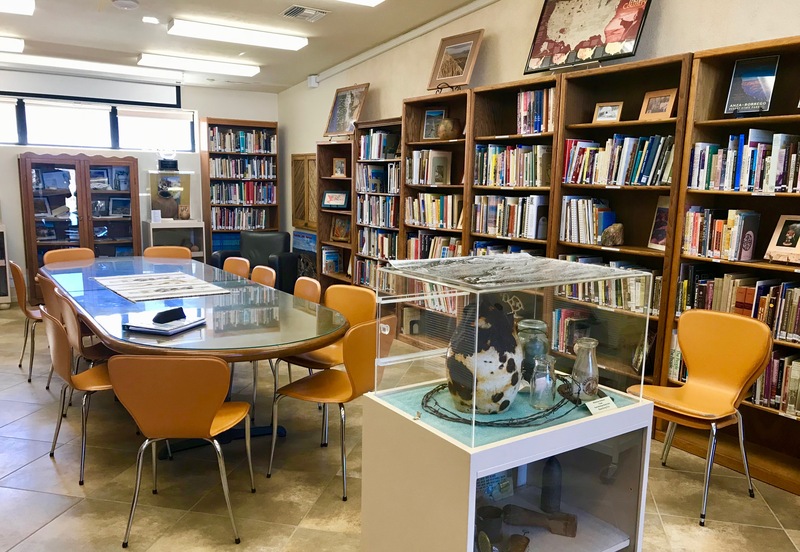 A wide array of archaeology, Anza-Borrego and California history, desert environment and geology, native arts and crafts books are part of the library collection. There are also book sections devoted to the Kumeyaay, Cahuilla, Hopi and Navajo people. Books from collections of George Jefferson and D.L. True are included. Many archaeology magazines and journals make up the BARC collection.Journals include the Pacific Coast Archaeology Society, Historical Archaeology Journals, Journal of San Diego History, and American Antiquity among others. Currently the Begole Archaeology Library is featuring an exhibit about the Butterfield Stage coach. 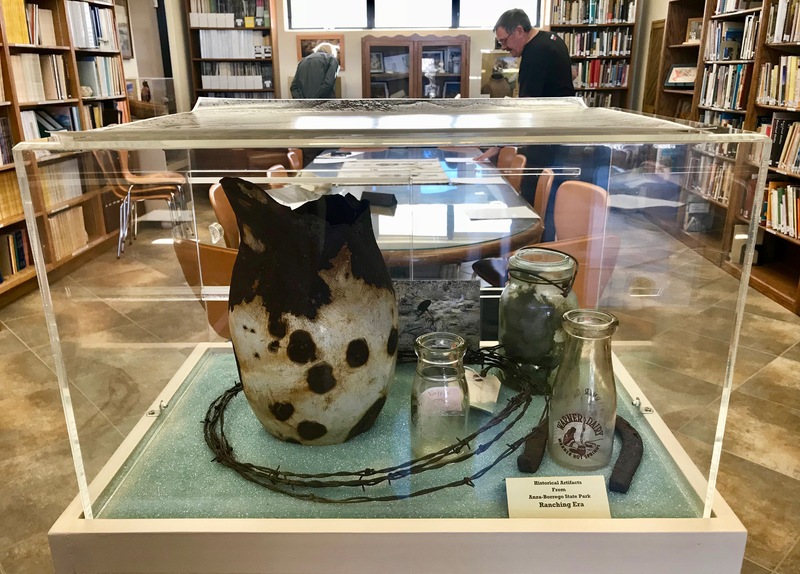 The exhibit includes Marjorie Reed paintings of the different stage stops and artifacts from the Carrizo Stage Station excavation and the Campbell Ranch. Books written about the Butterfield Stage line are also on display. Other library displays include mining, ranching and the military in the park. Although they are not available to check out, the books and journals on our shelves are ready for you to read and enjoy whenever you visit our library. BARC library materials are also available for research. Visitors Welcome Every Tuesday, 10:00 am – 2:00 pm.